Like something from another dimension, the Lancia Stratos' radical design still blows minds almost five decades after its introduction. The design was particularly inspiring to German billionaire Michael Stoschek who last decade commissioned Pininfarina to craft him a modern example based on the shortened platform of a Ferrari F430 Scuderia. The project, dubbed the New Stratos, was revealed to the world in 2010, and though it was originally envisioned as a one-off, overwhelming popularity soon led to a small production run being announced. However, Ferrari, likely seeing the New Stratos as more desirable than the car on which it was based, pulled its backing from the project, despite some initial praise: who could forget former Ferrari Chairman Luca di Montezemolo lapping Fiorano in the car? Without Ferrari's consent, Pininfarina and all other suppliers linked with Ferrari pulled out of the project and the car was soon forgotten. That was until this week when Paolo Garella of Manifattura Automobili Torino (MAT) announced he will build 25 examples of the New Stratos. MAT is the Italian engineering skunks works based in Turin that previously helped Scuderia Cameron Glickenhaus with the SCG003. The company is now working with Apollo on the Intensa Emozione, and soon it will also be working on the New Stratos. Garella previously worked for Pininfarina during which time he was involved with the New Stratos project. This experience will ensure that his new company MAT will guarantee the respect and quality of the original built. Details are being kept secret until a formal announcement on March 6 at the 2018 Geneva International Motor Show. All we know right now is that the car will feature a full carbon fiber body and all the technical solutions that contributed to the sharp handling, lightweight design, superior balance and precision driving of Stoschek's original. The first of the 25 additional cars is scheduled for delivery in April 2018. 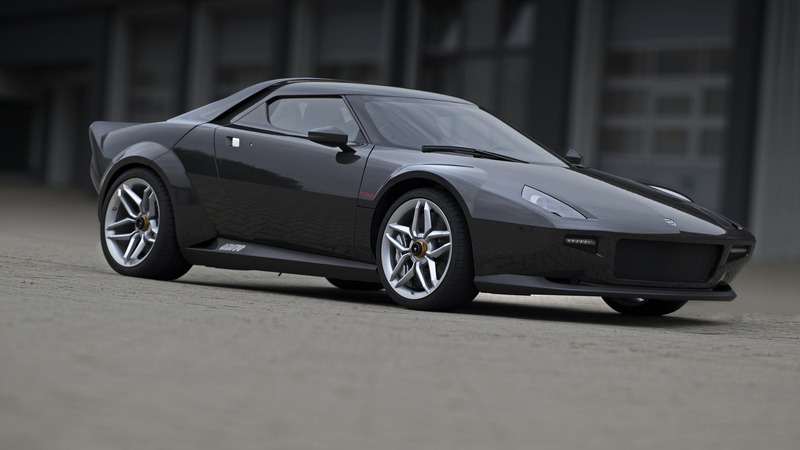 As mentioned, Stoschek's New Stratos was based on a shortened F430 Scuderia platform. Mounted behind the cabin sat the original Ferrari 4.3-liter V-8 delivering 532 horsepower and 383 pound-feet of torque, and this was paired with a 6-speed sequential transmission. The dry weight of the car was an impressive 2,750 pounds. We look forward to learning more on this exciting project in the coming weeks. In the meantime, learn about some of the other vehicles set to appear at the Geneva auto show over at our dedicated hub.